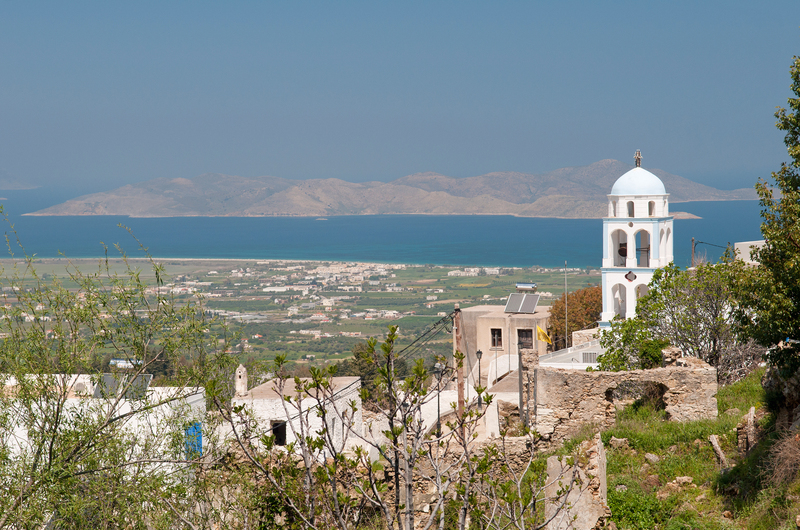 Asfendiou is a mountain village in the island of Kos in the Dodecanese , which has about one hundred permanent residents. The Asfendiou (Ασφενδιού) also refers to a group of hamlets around the village itself Asfendiou: Agios Dimitrios , Asomati , Zia and Lagoudi ; these hamlets are nestled in the middle of the only natural forest of the island, on the northern slope of Mount Dikeos . Asfendiou is located 14 kilometers south-west of Kos Town in the east-central part of the island of Kos . Asfendiou is accessed from the main road from Kos, taking a small mountain road on the left at Zipari , 7.5 km from Kos. Zipari from the winding road climbs on the north side of Mount Dikeos, after 3 km, the first village encountered is Evangelistria, where an important crossroads, near the parish church, led to Lagoudi and Amaniou to west, Asomati east and Zia in face amount. From the main road from Kos after Zipari another small road leads directly to discreetly indicated Lagoudi. The resort closest to Asfendiou is the Tigkaki . Asfendiou has a very interesting architecture, narrow streets, the whitewashed houses and gardens, hiding some charming Byzantine churches. The St. Mary’s Church was built in the early nineteenth century on the site of an older church. 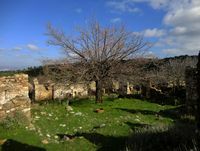 The hamlet of Asomati or Asomatos (Ασώματος), gradually became a district Asfendiou, with a score of villagers and old abandoned houses being restored by foreigners. Asomati is untouched by tourism and retains its traditional character, with small stone houses and cobbled streets. The village takes its name from the church Asomaton Taxiarchon was the center of life in the village. The church of Asomaton Taxiarchon(Ασωμάτων Ταξιαρχών), that is to say the church "archangels disembodied" is dedicated to the archangels Michael and Gabriel. It dates from the late eighteenth century and contains beautiful icons embedded. The hamlet of Lagoudi (Λαγούδι) is approximately one kilometer east of the district Evangelistria Asfendiou. 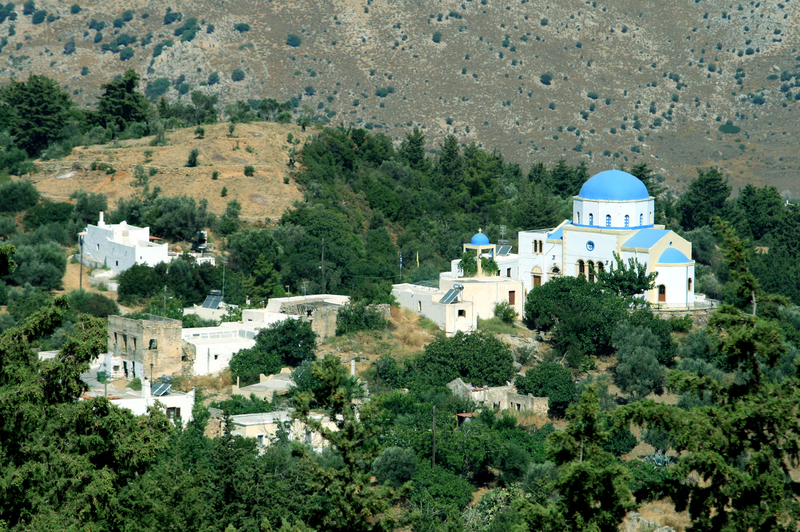 The hamlet of Agios Dimitrios is located 2 km east of Zia , along the dirt road that connects Zia to Asclepieion (7 km). 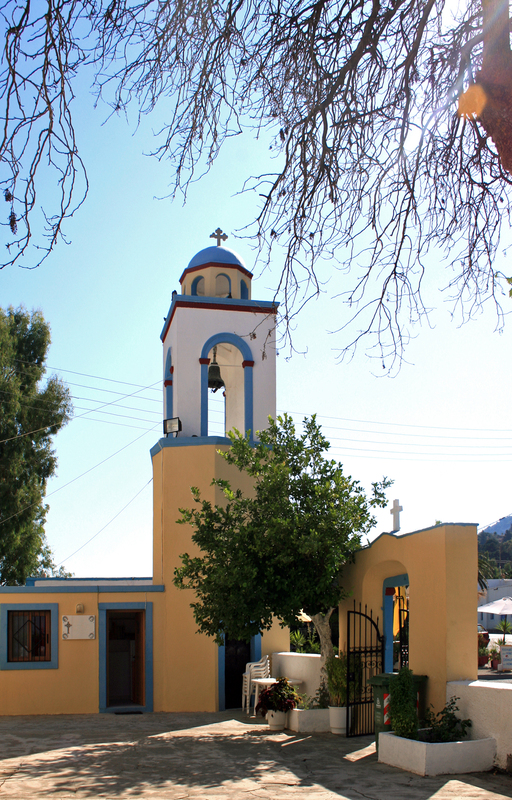 Agios Dimitrios is also named Haihoutes, the name of the family who founded the Ottoman hamlet. The village is now abandoned except for a few restored houses next to the beautiful church of St. Demetrius (Άγιος Δημήτριος). 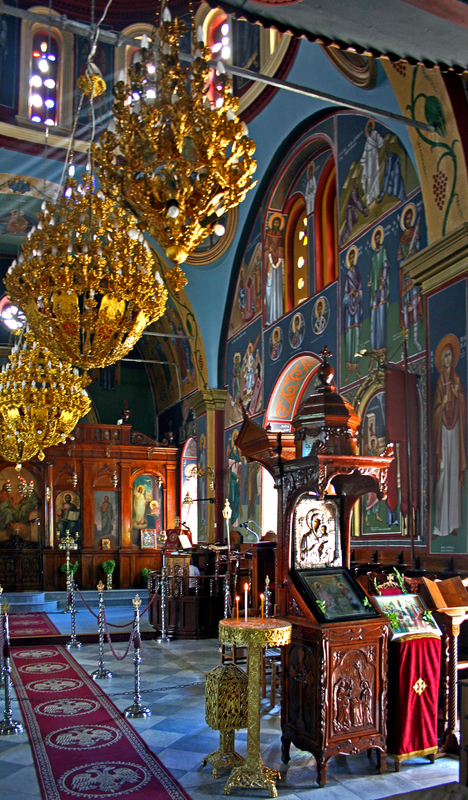 The Church of St. Dimitri is a church with a single nave, with a pronaos with two floors. The Asfendiou prospered between 1850 and 1940, thanks to the viticulture and olive growing, tomato and tobacco in the fertile plain north of the island, where the villages are now of Linopoti and Zipari . The principal residence of families was in the mountain villages, but they also had small houses in the plain. Asfendiou the villages were heavily depopulated by the development of tourism on the coast, in contrast to foreign residents settled there for restoring old traditional houses.